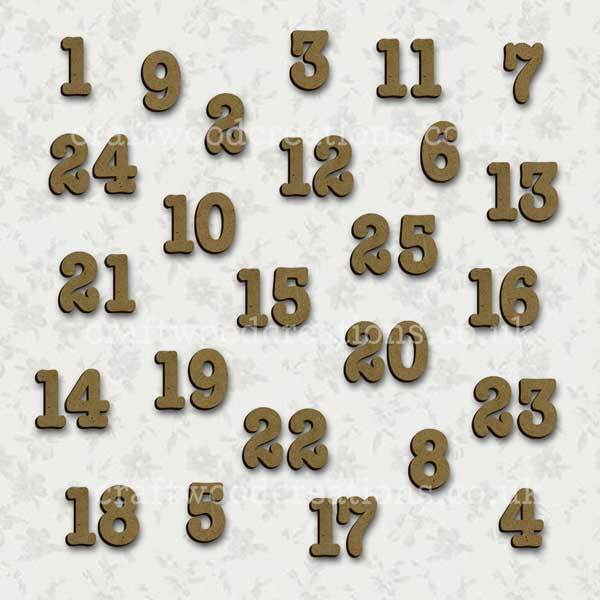 Complete set of Advent Calendar Numbers 1-25 inclusive. Laser Cut from 2.5mm premium grade MDF and are approximately 10mm high. They are easily decorated with felt pen, paint, gel pen,stain etc.